Send a gift sure to get them talking! 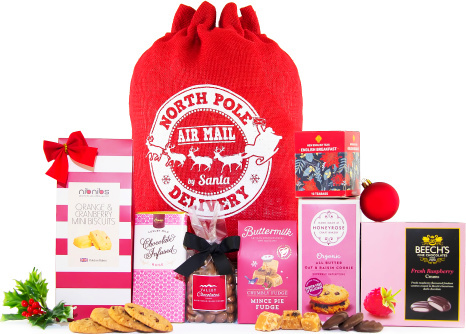 A delightful Christmas Sack filled with all things festive with chocolates, sweets, biscuits and so much more. The sack can be used time and time again after all the goodies have been devoured!